So today I am going to talk about the Oliso Pro Iron. 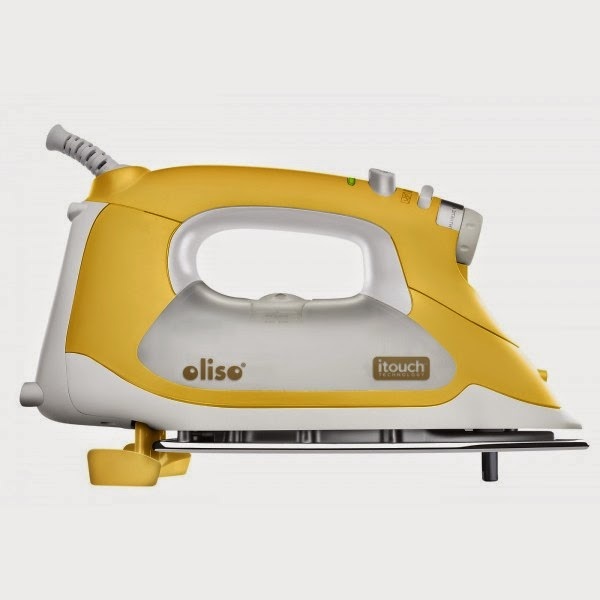 This is the Professional Iron that Oliso right now offers. I have own mine for a year and a half. My Oliso is still going strong! Here are the features that this iron offers. You can also find more information at Oliso. Ready when you are: Iron stays on for 30 minutes before shutting off. Simply touch the handle to reactivate. Pointed Detailer Tip: Creates crisp pleats, pockets, cuffs and collars. Great for bias tape and tight corners. Pro-Zone™ Soleplate: Extra flat pressing area eliminates dimple impressions in fabric. Beadblast chromium finish for unparalleled glide and scratch-resistance. OnePass™ Pressing: extra thick soleplate for optimal heat retention. Powerful vertical and horizontal steam removes the toughest wrinkles.